Bypassed: 1938 (Point Douglas Rd), 1948 (Hudson Rd). *on Hudson Road only, 1926-1935. ** On Hudson Road Only. 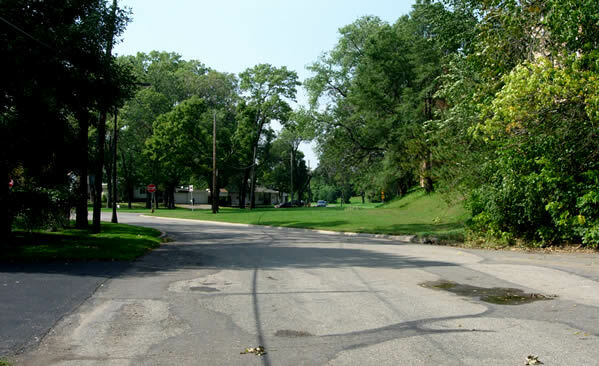 U.S. 61's original route out of the east side of St. Paul was along portions of what are now Hudson and Point Douglas Roads. Massive changes to the landscape, including the construction of I-94, have obscured the old route, although it is not impossible to find if you know where to look. 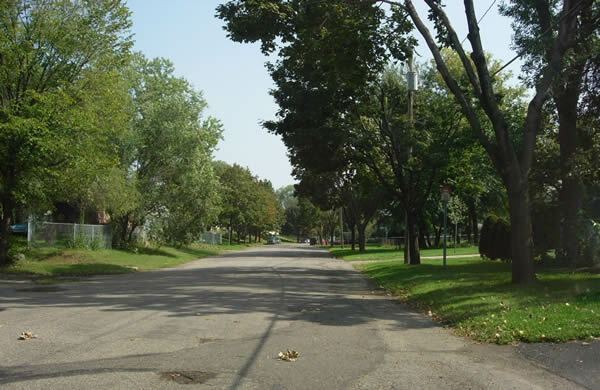 What is now Hudson Road was originally named "Hastings Avenue", owing to its direct connection to the highway to said city. Highway plans show that it was paved with wood blocks on top of concrete as far east as Earl Street, with streetcar tracks running down the middle. East of Earl, it was paved with brick. This brick pavement continued onto the Point Douglas Road. The brick reached as far south as Burns Avenue. 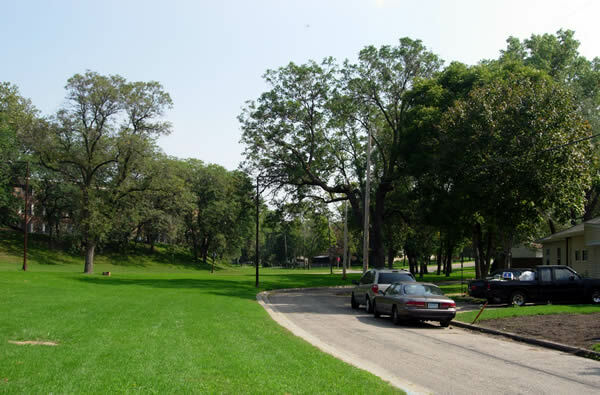 The rest of Point Douglas Road south of Burns was paved by the city of St. Paul with 24 feet of concrete at some point before 1923. 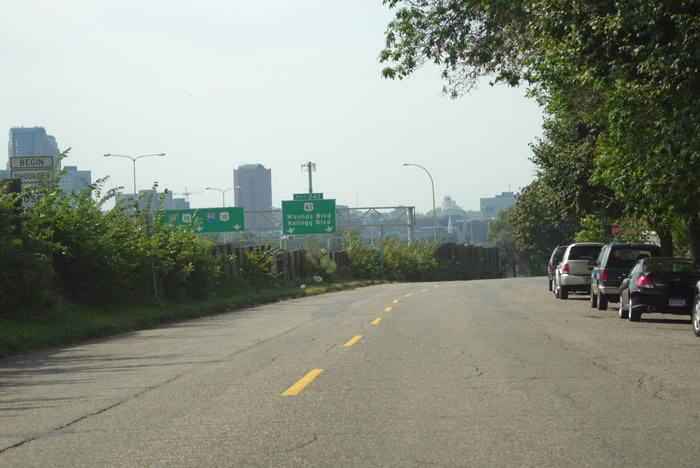 The old route out of St. Paul was bypassed in two stages by the construction of four-lane divided expressways along the alignments still in use by I-94 and U.S. 61 today. The first stage took place in about 1938, when the northern part of the Point Douglas Road was replaced by the construction of the new U.S. 61/U.S. 12 interchange on the site of the current interchange with I-94. Point Douglas Road was left behind as a local street. The second stage, which replaced Hudson Road, started in 1948. A new four-lane highway was constructed in a trench just south of Hudson Road along what would eventually become I-94. All of the buildings along the south side of the street were demolished. Interestingly, the old connection between Hudson and Point Douglas Roads was kept intact to maintain local access. 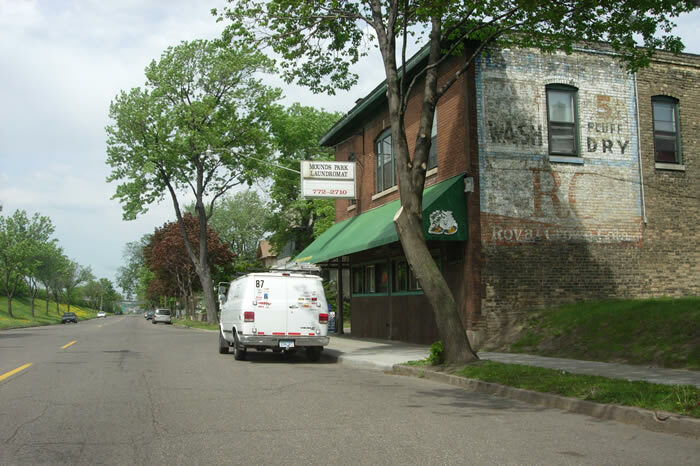 Bypassing Hudson Road allowed automobile traffic leaving St. Paul to avoid conflicts with the street-cars that still ran on Hudson Road as far east as Earl Street. This became a moot point when the street-car system was removed just a few years later. Hudson Road still runs along the north side of I-94 east from Maria Avenue, now hidden from the freeway by a large wooden sound wall. 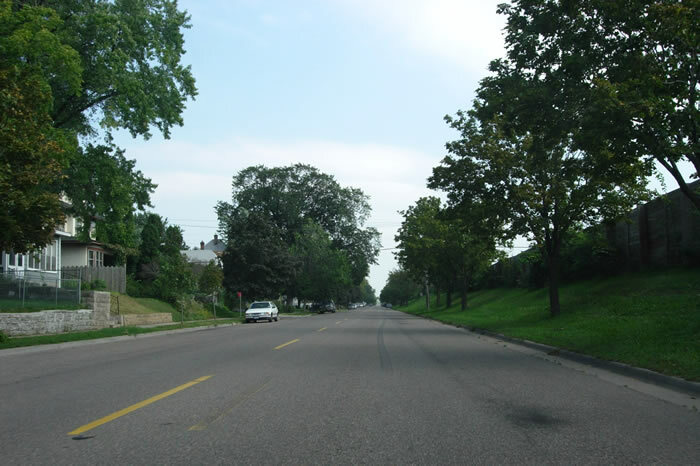 The connections with Mounds Boulevard on the west, and with Point Douglas Road on the east were removed by the construction of I-94 in the mid 1970's. 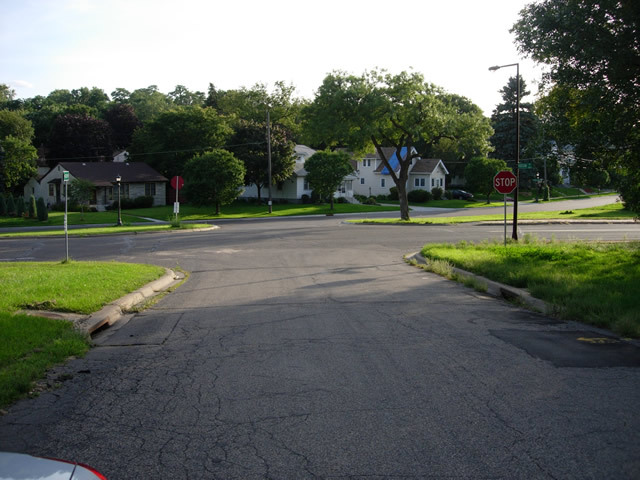 Point Douglas Road only survives between McLean and Burns Avenues, south of I-94. It has been repaved as a simple city street. 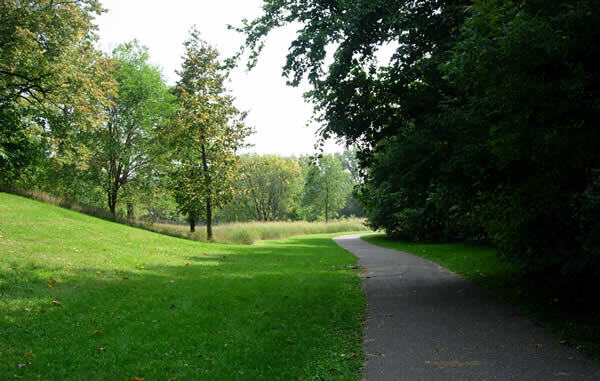 The section of the road south of Burns Avenue has been removed, and replaced in part by a biking/walking trail through what is now Mounds Park. 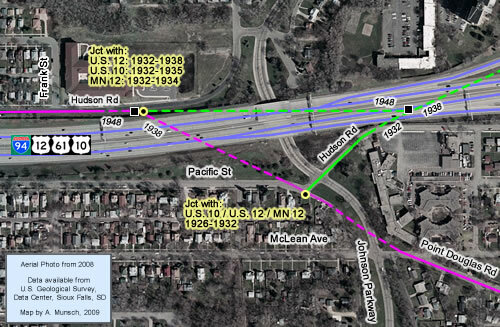 The sites of the two original historic junctions with U.S. 12 (and the routes concurrent with it) are located on either side of I-94 near Johnson Parkway. The route to the east towards Hudson, now better known as I-94, became part of U.S. 12 in 1926. It had originally been Constitutional Route 12 (the matching numbers were a coincidence). U.S. 10 was also routed through Hudson when it was first marked in 1926. It was moved to its more familiar route out of St. Paul with U.S. 61 in 1935. 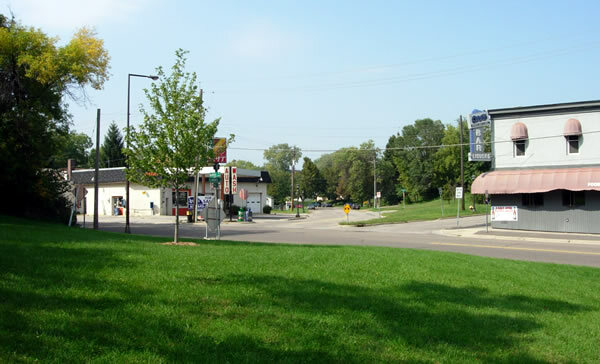 The original junction was located along what is now the Pacific Street connection to Johnson Parkway at the intersection with what is still called Hudson Road. 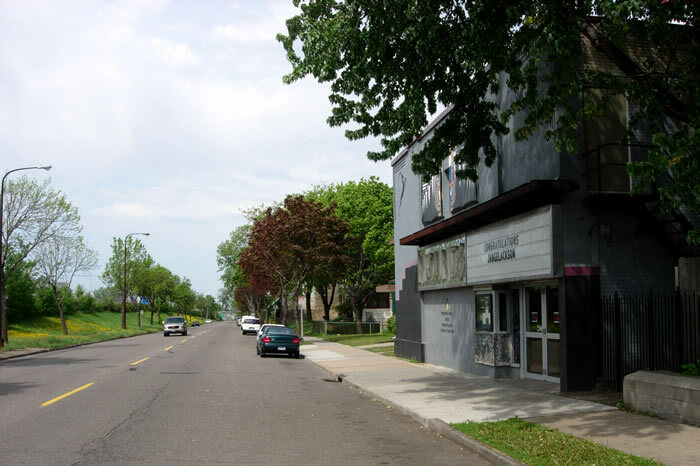 The junction was moved north in about 1932 to a site on the north side of I-94 on Hudson Road when the city of St. Paul constructed an extension of Hudson Road (then Hastings Ave) to create a short-cut. Photo Tour - Photos were taken in September, 2006 and May, 2007. Looking west on Hudson Road where it starts to curve onto Maria Avenue, just west of Plum Street. The signs for the modern U.S. 61 exit off of I-94 onto Mounds Boulevard are visible above the sound wall. 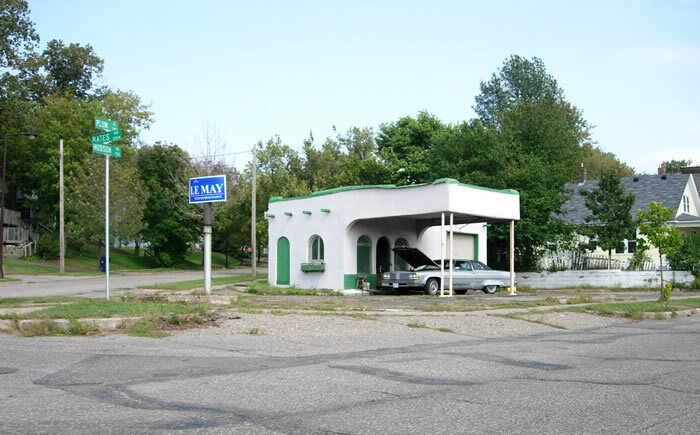 The remains of an old service station, looking east at the intersection of Hudson Road with Plum Street and Bates Avenue. Looking east down Hudson Road between Maple and Forest Streets. Note the sound wall blocking the view of I-94. Homes once lined both sides of the street before 1948. Looking back to the west at Cyprus Street. I doubt that the Mounds Park Laundromat still offers a fluff dry for 5 cents. 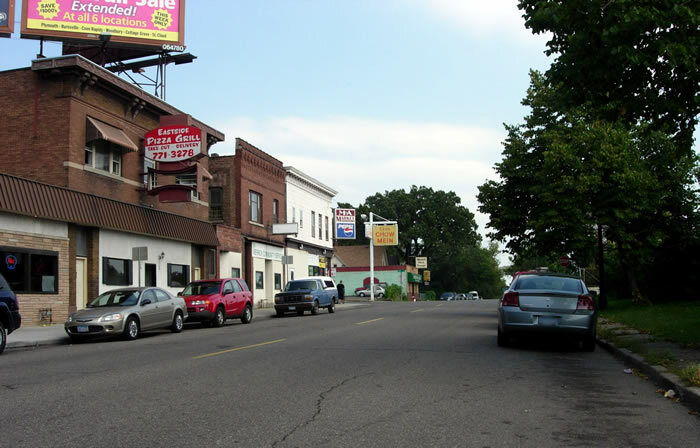 Looking west towards Cypress Street, with the old Mounds Theatre on the right. 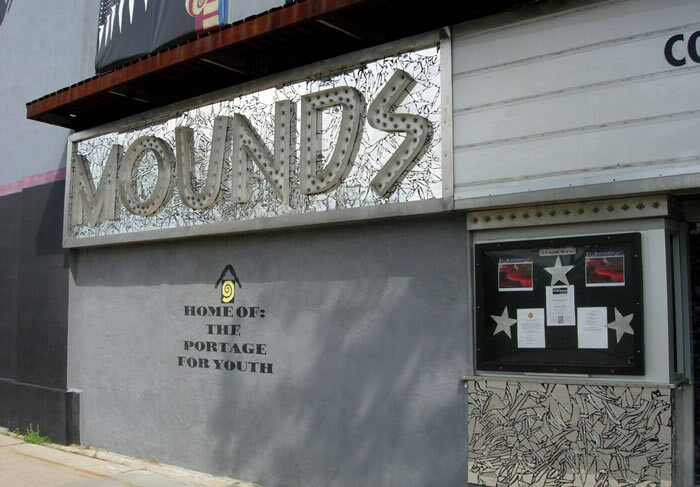 A closer view of the classic Mounds Theatre sign. Looking back to the east towards Earl Street, showing the remains of an old streetcar oriented business district. The streetcars made a hard right turn ahead from Hudson Road onto Earl. Streetcar access on Earl was maintained by an overpass. Car access was also maintained via a limited interchange, with a ramp allowing access from U.S. 61 eastbound. An at-grade intersection at Cypress Street provided access for westbound traffic. The upgrade to I-94 in 1975 removed all local access, although the Earl Street overpass was retained. Another view to the northeast at the intersection of Hudson Road and Earl Street. 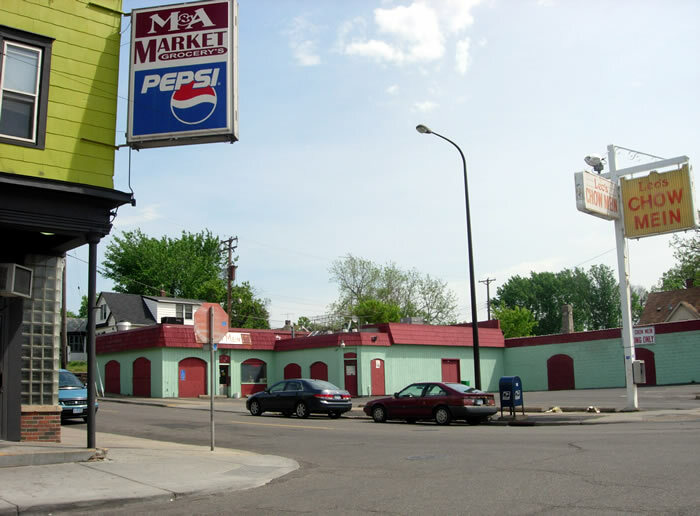 The parking lot of Leo's Chow Mein was once the site of a service station. Looking east on Hudson Road, just past Frank Street. The street here is of later construction. 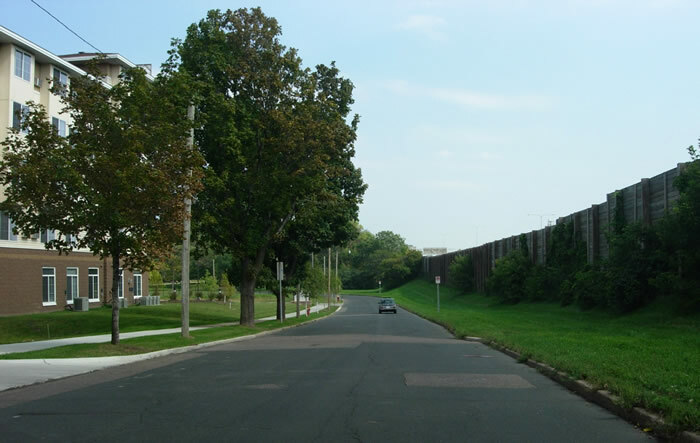 The old highway ran about where the lawn and sound wall are now. The point where the old Point Douglas Road (the original alignment of U.S. 61) veered off to the south is marked by the location of the car ahead. This was the site of the east junction with U.S. 12 (1932-1938), U.S. 10 (1932-1935), and Constitutional Route 12 (1932-1934). Looking southwest on Hudson Road (old U.S. 12 / U.S. 10 / Constitutional Route 12) across Johnson Parkway towards the site of the original junction with U.S. 61. (Photo from August 2009). Looking southeast on the Pacific Street/Johnson Parkway service drive from the site of the original junction of U.S. 61 with the Hudson Road. The Point Douglas Road originally continued straight ahead across the parkway. 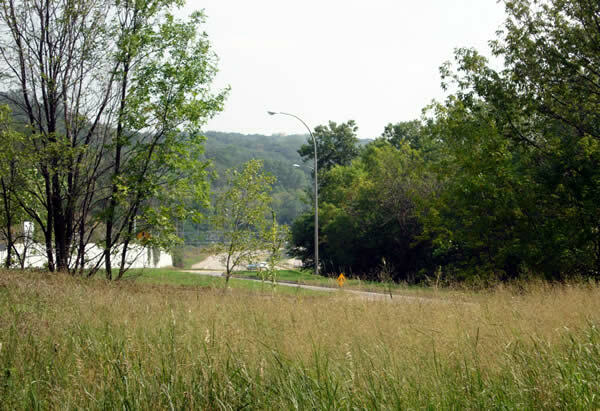 Looking back to the northwest towards the vantage point of the previous photo on the other side of Johnson Parkway at the intersection of Point Douglas Road and McLean Avenue. 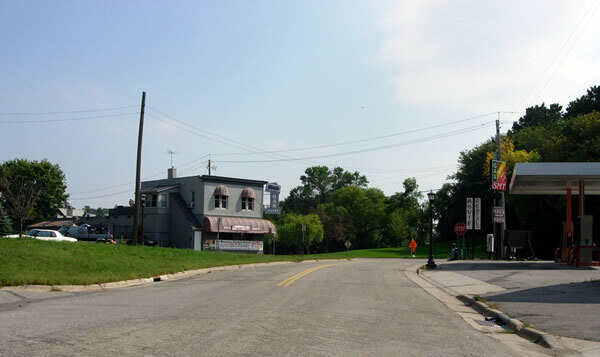 The original road ran straight ahead towards I-94. Looking southeast on Point Douglas Road from McLean Avenue. The old highway now runs through a quiet neighborhood. Looking southeast on Point Douglas Road at Burns Ave. Looking back to the northwest from Indian Mounds Park on the other side of Burns Avenue. Point Douglas Road once continued straight ahead into the park. 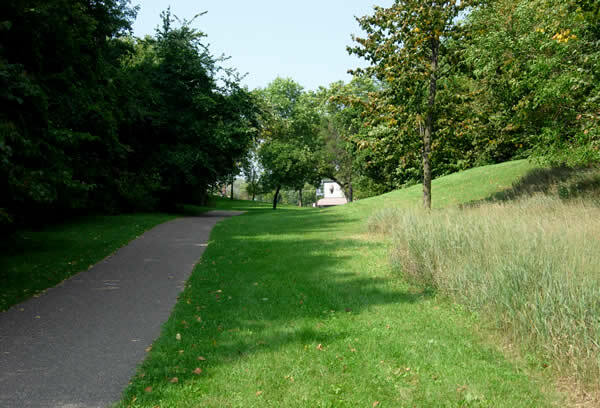 Looking southeast along the path of the old road, now a walking path. Looking back to the northwest towards Burns Avenue. Looking southeast along where the old road once ran into the right-of-way of the modern divided highway (the intersection with Warner Road is just visible).